Is zm miner suitable for miningpoolhub.com's equihash algo? Yes it is, I'm using it for my mph mining. For now all good. Maybe @dstm could add that in the future? The first post does seem to mention JSON api being available? It might be useful to provide a bit more info on that i guess. Does anyone know how to make it not launch 1bash or anything else special? I want to use this just as a linux distro that has all the GPU drivers installed, then use my own CUDA programs. I emptied the contents of 1bash, 2unix and so forth but when it boots it still opens a gnome terminal that spins the CPU 100% trying to relaunch the NVOC scripts. Does anyone know where the initial call is that linux first runs the first NVOC script on boot? This happens to me too, the modem/router eventually drops the broadband connection to my ISP and reconnects obtaining a new public IP several times a day. I even place a new router to handle all traffic and left the modem/router just as bridge and it's still happening. It's not new, 0.5.5 and 0.5.6 had this problem too. You have a documentation inside the zipfile of the miner called json-rpc, everything needed in here. Sorry to bother but, i'm with mlotis and cTnko on this one, what am I doing wrong? Json data isn't transferred on top of http - just open a socket and send a request (like described in json-rpc.txt) and you'll get a response containing stats. Hi! Will you put GPU name into a response in future version? Sometime it useful. Thank you for answer. Hello. At the beginning, I apologize for my english. Why is the payment lower? Difficulty has increased, the miner should be working fine. Difficulty has increased a lot since ZCash price has increased. Plus, last month was a godsend. When NiceHash went down, all coins difficulty dropped quite a bit. Slowly but surely, that difficulty has climbed back up. However, you should be mining the same USD value if not a bit more than before and your previous mined coins are worth more now!! after returning to v5.6 after 3 hours of work, the average profit increased to 0.59 ZEC ... how to explain it? Difficulty changed, for example i now earn good 15-20% less than i earned 20 hours ago. While still using the same miner, looking at my flypool graph, there is no significant different between 0.5.6 and 0.5.7 when it comes to submitted shares or their difficulty. Which pool are you using? Suprnova ? I found what on 0.5.7 Suprnova pool significantly increases the difficulty and my share rate (and hashrate) drop on 20 %. 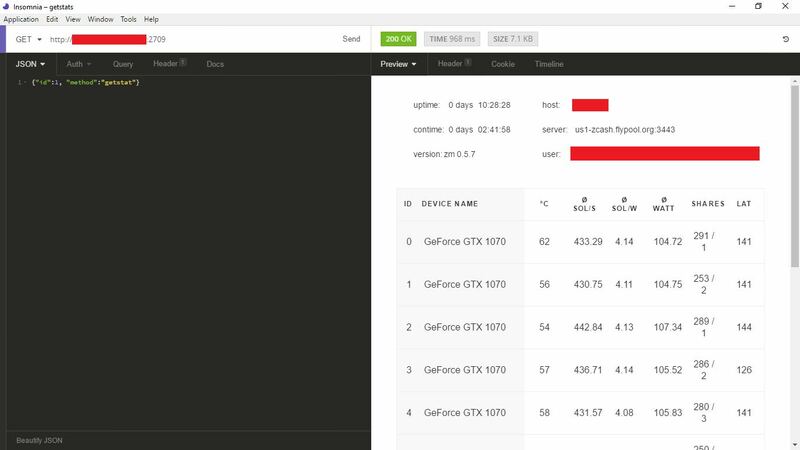 Mining on MPH with 5.7 I find hashrate is up by a tiny amount as is profit. CPU usage is down so overall it's a win win win for me.